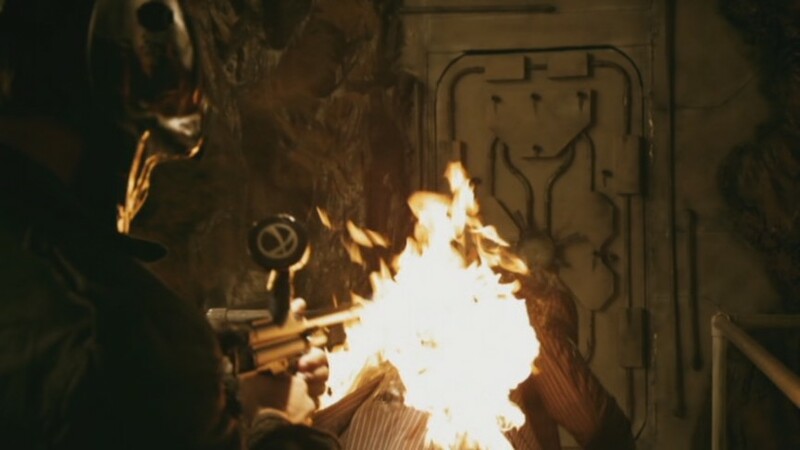 In the movie John Dies at the End (Chase Williamson, 2012) the title character uses a paintball gun as a flame thrower. 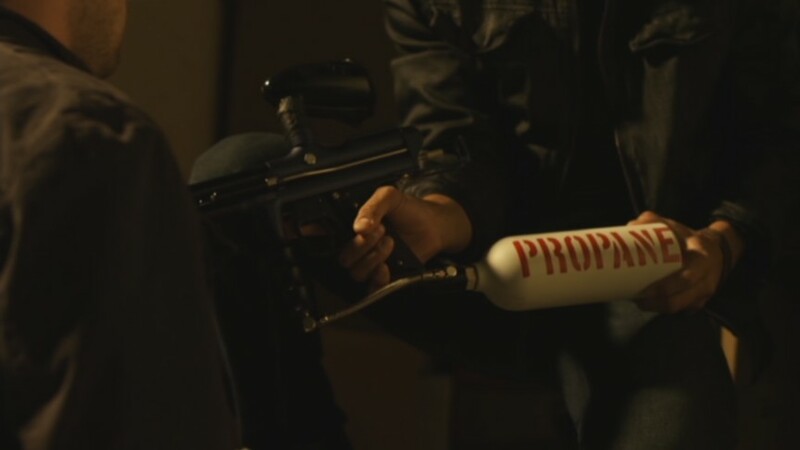 "PROPANE" painted on it. 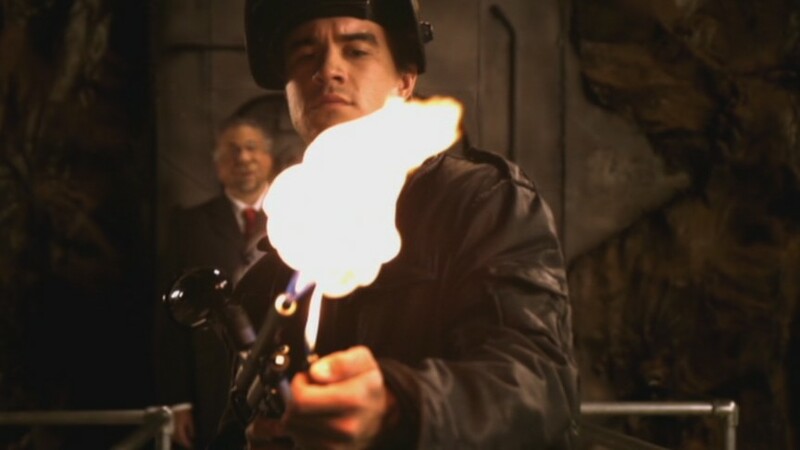 Why a flamethrower would also need a 50-round GXG Pocket hopper remains unclear. Note the marker has no bolt or pin. 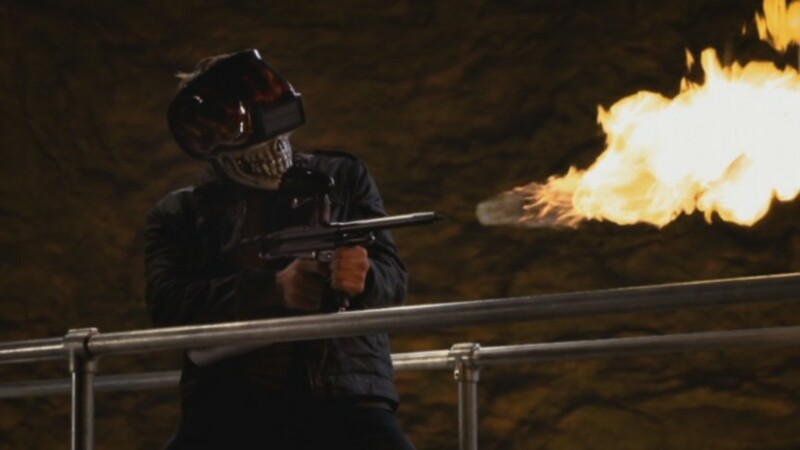 He takes the time to put on a skull-shaped welding mask before lighting the Trilogy with a Bic. He then proceeds to burn the minion attacking David. Aflame, the minion falls over the railing into the monster's pit. Note the GXG logo on the hopper.